There are a lot of blues guitarists in town — in fact, there are quite a few on this list — but Eubanks is certainly one of the best known and most active. He's also a co-founder of the Inland Empire Blues Society, which doles out awards for musical excellence every year; Eubanks and his backing band have won several themselves. Recently voted one of the best local songwriters by Inlander readers, Brown runs a popular Monday night open mic at the Red Room Lounge, where he's also a talent booker. He isn't merely a solo troubadour, either: He's also a member of the roots-rock band Hey! Is for Horses and the blues collective Breadbox. Glancing at this acoustic guitarist's live calendar is enough to make your eyes cross. He's one of the busiest solo musicians in town, focusing primarily on originals with a handful of covers thrown in for good measure. According to his website, he'll be releasing an album of his own material sometime this year. Since quitting her day job as a dental assistant and focusing on music full-time, this local singer-songwriter has been playing all over town, mostly doing acoustic gigs but sometimes performing with musical accompaniment. O'Neill's most recent album, Unrequited Love, is filled with bluesy, folksy and emotionally candid originals. This solo guitarist's name pops up on local listings several times a week, playing wineries, breweries and bars all around the Inland Northwest. He specializes in gritty blues and R&B, and he's also claimed Motown and even hip-hop as influences; check out his album Trouble Water to hear what he's getting at. 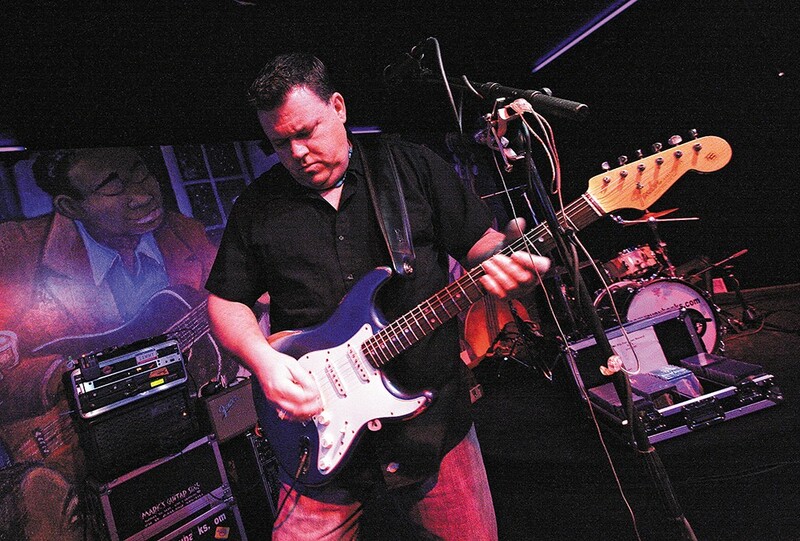 A self-described "one-man band," PJ Destiny is a real stalwart of Idaho's music scene: The guitarist has a weekly gig at the Coeur d'Alene Casino's Nighthawk Lounge, and his band JamShack, which specializes in high-energy cover songs, also performs regularly at the casino. A local four-piece that's the ongoing project of guitarist and songwriter Daniel Mills, who also frequently performs around town as a solo act. (The group gets its name from Mills' late father, a journeyman jazz musician.) The band's debut record Evergreen offers chill, melodic rock that's twinged with folk influences. That name says it all: Darin Hilderbrand performs all by his lonesome, but his work is hardly simplistic. It's somewhat surprising that Hilderbrand was once the frontman for the Seattle metal band Kidd Robin, as his solo material is inspired by classic rock and blues sounds, but that further proves his versatility. Greene is a staple of the Idaho music scene, performing his soulful, melodic originals multiple times a month in the Coeur d'Alene and Post Falls area. He also fronts the band Gre3ene, which recently opened for New Orleans-based multi-instrumentalist Trombone Shorty at the Fox Theater. This husband-and-wife duo comes with a bit of indie credibility, as an album Emerson recorded with his brother when they were teenagers was rediscovered by music blogs a few years ago. He and Sophia — he plays guitar and they both sing — perform songs from all kinds of genres, and when they're not performing as a duo, they're backed by a band of ace players. Another local guitarist who always seems to have a new gig every other day, Kicho Forrest isn't easily boxed in, channeling heavy metal one moment and delicate folk-rock the next. And as if he weren't busy enough as a for-hire musician, he has his own music studio and also works as a local guitar teacher. A true career musician, KOSH has been performing for decades, both as a solo artist and as the frontman for rock bands. His originals recall the era of the '80s when hard-rock power ballads ruled the airwaves, while his catalog of covers include his unique takes on everyone from Radiohead to Adele to Pink Floyd. 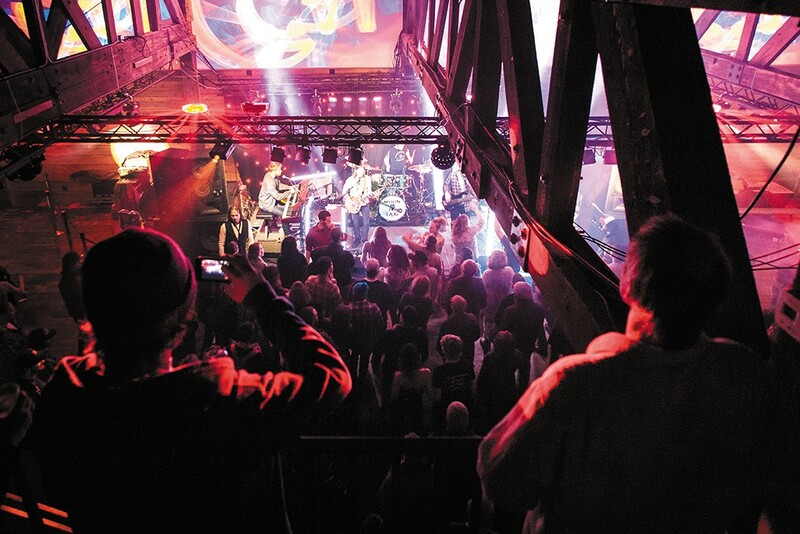 The Hive in Sandpoint specializes in funk, R&B and jam bands.